Tom Ford TF 5276 - Black Need Help? The TF 5276 is a quintessential, classic, and perfectly proportioned Tom Ford design that looks great on almost all faces. Handmade in Italy, the 5276 features clip on sunglass lenses which can quickly and easily added / removed, giving another level of versatility. 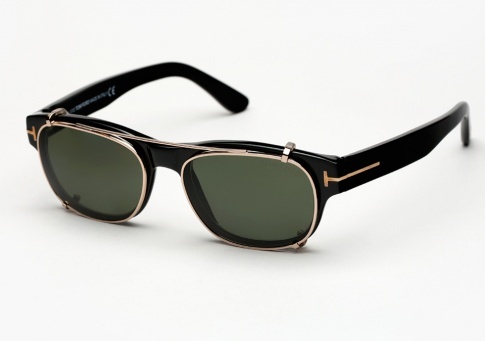 It is offered here in Black paired with G15 (grey green) Clip-on lenses.